Come along to our Open Morning to see why we are so highly rated. 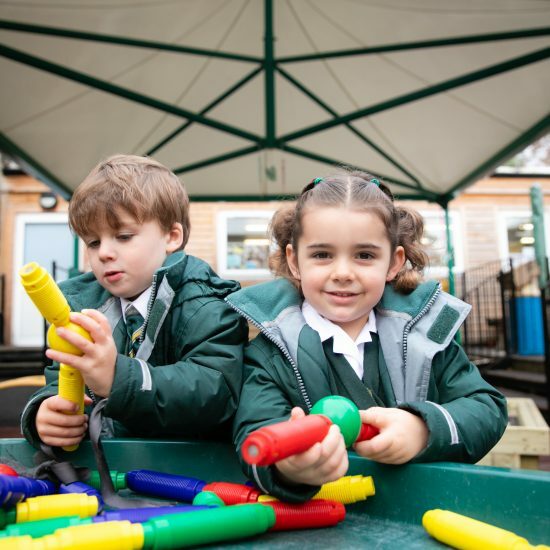 Visit our outdoor learning area and yurt outdoor classroom, see our amazing sports pitches and fields, talk to our specialist teachers in subjects such as Science, Music and Languages and enjoy play equipment in our Nursery School area. Plus, view our plans for the new Early Years building to be completed in Autumn 2019. Call 0113 275 2670 for further information. Richmond House School, the independent school in North Leeds have nominated Candlelighters as the chosen charity for the Spring term. The charity has been chosen by the School Council at Richmond House, which is made up of elected pupils from Year 1 to Year 6 who are responsible for charity and fundraising in the school. This academic year the school council has decided to fundraise for more than one nominated charity, and in the Autumn term over £1300 was raised for charities including St George’s Crypt, Leeds North and West Foodbank, Macmillan Cancer and Children in Need. The council also organised food collections at Harvest and Christmas and a toy collection at Christmas for the Mission Christmas Toy Appeal. This term the pupils are planning fundraising events for Candlelighters, the charity that supports families of children with cancer across Yorkshire. Last week Jen from Candlighters came into school to talk to all of the children in Assembly about the work that they do and what the school can do to help. She was met by the School Council leaders who discussed their fundraising ideas with her. Please contact us for further information or to arrange a visit. We look forward to hearing from you.